Reagent Grade Xylene, 1L for sale. Buy from The Science Company. 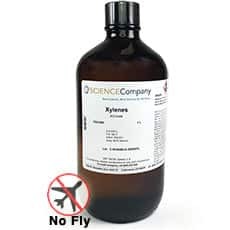 The 98.5% contaminant-free purity of ACS grade Xylenes is mainly used as a solvent. 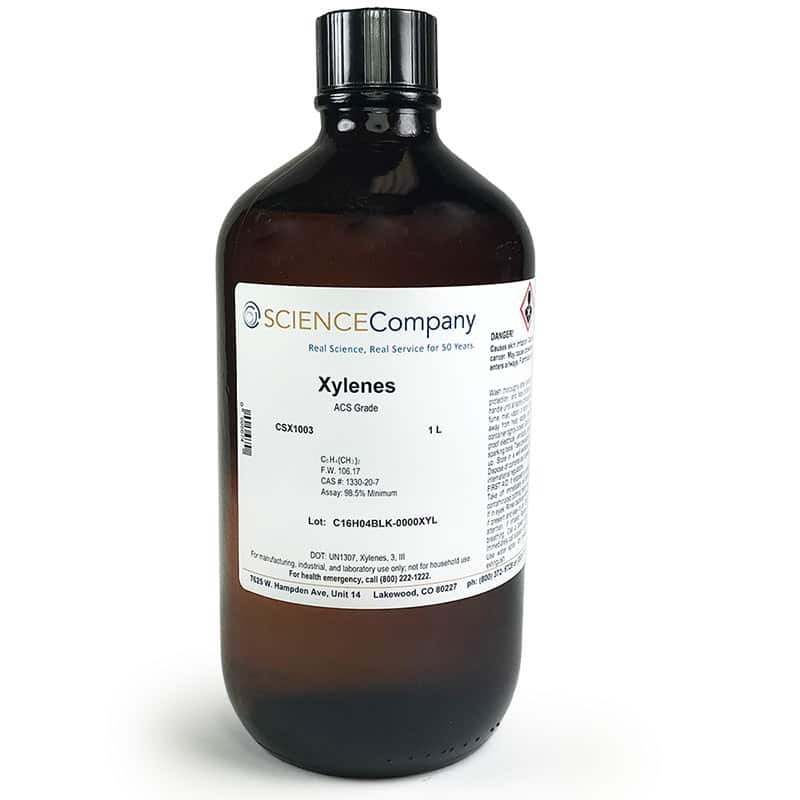 Histologists use Xylenes as a short-term hydrophobic clearing agent of tissue samples. 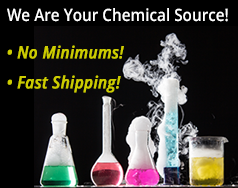 Xylene is also used in rubber, ink, adhesive, and leather industries. It is a slightly greasy, colourless liquid consisting of benzene and three aromatic hydrocarbon isomers: paraxylene, metaxylene, and orthoxylene.